One of the PowerPoint annoyances is that bullet point paragraphs are not aligned properly when overflowing to the next line. It's easy to fix. Display the ruler (view menu), select the text, and move the little markers, leaving the top one to the left, and the bottom one at the desired indent. (See the image to the right). That bullet points are NOT the main design concept to make PowerPoint presentations is clear, but a completely separate subject. UPDATE February 2018. Another way to align bullet points in PowerPoint, is to use boxes with a very light background. This background shape gives the page a grid-like structure, compensating for differences in the length of text in a bullet point. Even if some bullet points stretch over 2 lines, and others consist of a few words, the page still looks evenly distributed. 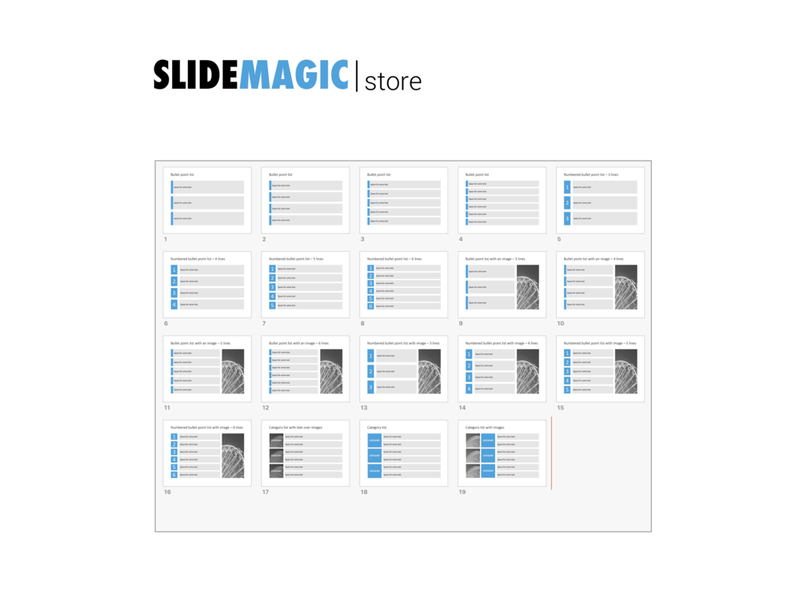 I have added some examples of this layout style to the SlideMagic template store.